HTC has stated that it will try to distance itself from other Android manufacturers through looking for new content related deals, in a step which could potentially help it in its fight with Apple’s iPhone. Peter Chou, the CEO of the Taiwan based company, has said that the demand from consumers for a wholesome experience which incorporates the software, hardware and content has led to the company’s attempts to seek more deals with content providers, stating that HTC is going to use media integration in order to differentiate itself from its rivals and also increase its popularity as a smartphone brand. According to an interview Chow gave the media, he said that the company remains open minded about buyouts in the future, even as he assured that HTC will continue with the Android platform from Google and the Windows Phone OS from Microsoft which are already profitable, rather than acquiring another platform altogether. 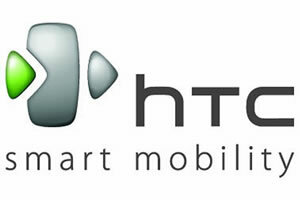 HTC is already reported to have started on its strategy towards content acquisition, as it talks about connections with Onlive’s mobile gaming, the video streaming service provider Saffron and also a reported deal with KKBox, the online music company. HTC had earlier signed a deal with the Canada based eBook company Kobo and also paid $13 million last year for a France based mobile application developer named Abaxia. Analysts believe that all these acquisitions point towards an effort to build awareness towards its brand and also differentiate itself from its rivals in the market, in a move which is an attempt to provide aggressive competition to Android manufacturers such as Samsung and also Apple’s iPhone. It might further help HTC to differentiate itself from the rival manufacturers who use the Android platform by using different options for content as it can make the company stand out in the huge market of Android based devices; building brand awareness to give HTC a new identity to connect with the consumers. The company from Taiwan has also increased its efforts to compete more effectively with Apple lately as it released as many as eight new smartphone handsets this August for competing against the new iPhone 4S. This year also saw HTC take up Windows Phone OS for manufacturing devices, including the Titan and Radar, which have gone to make up as much as a third of the manufacturer’s total sales.